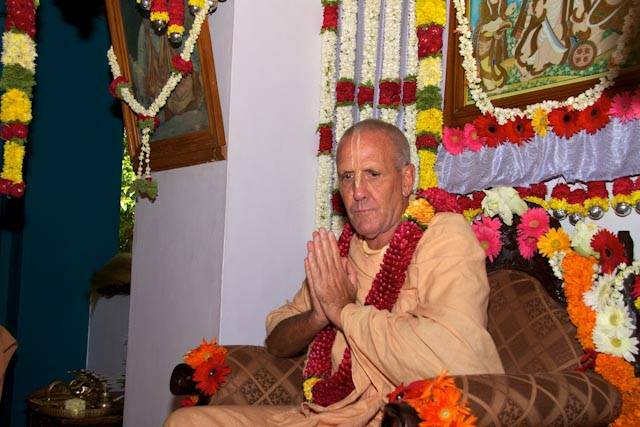 Today we share with all of you a piece of news published at Sri Narasingha Chaitanya Ashram http://gosai.com/ It is about the celebration of the holy appearance of Srila Narasingha Maharaja, which was celebrated on Sunday 28th August at Govindaji Gardens. Over 100 devotees and guests attended the function from Bangalore, Mysore, Mandya, Srirangapatna, Australia, USA and Mexico. Srila Narasingha Maharaja spoke briefly about the meaning of Vyasa-Puja and then listened to some of the offerings by the assembled devotees. 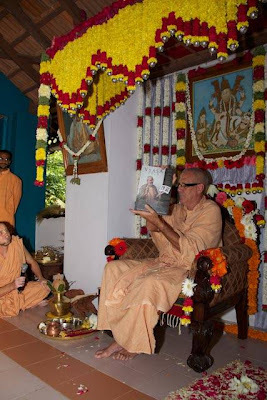 Later, Srila Narasingha Maharaja presented some of the devotees who had significantly helped with this years Janmastami festival with shawls and photos of Sri Sri Radha-Madhava. 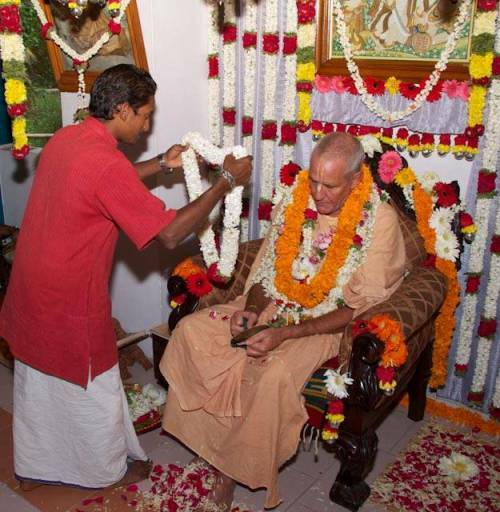 After guru-puja, devotees stepped forward to present their Guru Maharaja with various gifts. 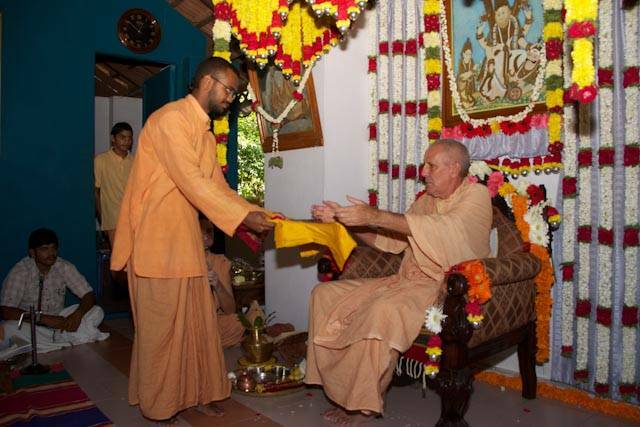 Srila Narasingha Maharaja then joined all the devotees in honoring bhagavata-prasadam in the prasadam hall.